Markman Peat Corporation is a manufacturer and wholesale distributor of soils, premium soils, decorative rock and mulch to the Lawn and Garden Industry. Markman offers the flexibility of mix and match programs for all of our customers. Our Commodity Soil offering consist of Top Soil, Peat, Potting Soil, Mushroom Compost and Composted Manure. 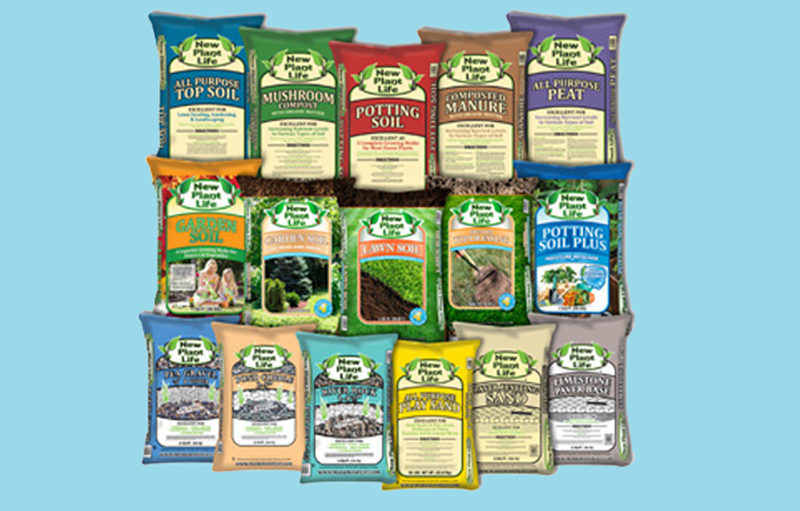 Our Premium Soils consist of Potting Soil Plus with Moisture Retainer (T), Premium Potting Soil, Premium Top Soil, Garden Soil, Lawn Soil and Top Dressing. Our Commodity Landscape Products are Sphagnum. Play Sand, Leveling Sand, Limestone Paver Base, Multipurpose Gravel and Mulch. Our Rock line includes River Pebbles, Pea Gravel, Ricker Rock, Pond Cobble, Red & Black Lava, White Marble and 8 other decorative rock colors and blends. Since 1940, Markman has experienced continued growth and success. Markman Peat Corporation has production and bagging facilities in Morrison, IL, La Porte, IN, Lakeview MI, Walterboro, SC. Markman Peat Corp is motivated to the continuation of the highly recognized brands, enhance the premium soil blends and be responsive to our customers’ needs. Quality & Service – Our customers deserve Quality Products and Exceptional Service. Since 1940, Markman has distributed premium soils and landscape products. Markman is committed to providing premium soils that meet our customers’ needs.